With the UK opting out of the EU, the V4 anti-federalists are losing an important ally. As new debates on redefining the post-Brexit EU are underway, V4 countries could play a crucial role. However, that depends, once again, on Germany. The Brexit vote has tipped the balance of power within the European Union. V4 governments with their cautious approach to EU integration have lost an important ally in the UK, whose government also questioned the viability of a European federalist state, preferring to keep key decisions at the national level. While V4 countries have not chosen to opt out of EU policies, as the UK did with euro currency conversion or the Schengen passport free zone, their governments, for the most part, share a common view that the EU should keep out of member states’ internal affairs, only facilitating common solutions when needed. The common views on EU politics was visible during the rather amicable meetings between regional leaders and former British Prime Minister David Cameron earlier this year, 2 although he attempted to lessen ties with the EU, and blamed some of Britain’s woes on EU workers coming from Central Europe. He also warned that Brexit might trigger a “domino effect” with more member states leaving, which he said highlighted the need for reform. For Poland, the loss of Britain is especially painful, not only because the fate of hundreds of thousands of Polish workers in the UK depend on whether Britain decides to secure their post-Brexit rights, but also strategically, because Poland and the UK share the view that sanctions against Russia should be upheld. Moreover in European Parliament, the current Polish government, Law and Justice (PiS) will lose the support of the UK Conservatives, members of the same political group and important allies to PiS, which has faced heavy criticism for its increasingly autocratic governing style. It remains uncertain if calls for further EU integration or arguments for a more intergovernmental model of governing in Europe will prevail following Brexit. V4 countries are planning to put forward a united plan on the EU’s post-Brexit reformation in autumn. From their public statements thus far, it seems their priorities include increased national control over EU decision-making, the prevention of smaller EU “clubs” jumping ahead in further integration, security reinforcement and the realization of the single market’s full potential. Despite losing an ally within the bloc, the V4 countries’ predominantly anti-federalist platform could strengthen the region’s status within the EU. However, they would need to step into the limelight and make the case for less integration themselves, instead relying on London to do so. Brussels’ instinctive reaction to recent EU crises, especially the eurozone crisis, was to push for further federalization, as eurozone members are bound together by one currency. Leaders of EU institutions, notably President of the European Parliament Martin Schulz and President of the European Commission Jean-Claude Juncker, along with European Parliament’s Liberal group leader, Guy Verhofstadt, have already suggested that deeper integration is necessary for realizing the EU’s full capabilities, because it would unbridle EU institutions from member states’ interests, better equipping them to serve EU citizens. France and Italy, both led by left-wing governments, have vocalized the need to advance further with integration, now that the British are no longer “stalling” it. The foreign ministers of the EU founding member states met two days after the Brexit vote to pledge their commitment to an integrated Europe. At the meeting, German Foreign Minister Frank-Walter Steinmeier and his French counterpart, Jean-Marc Ayrault, called for a European political union constructed around the euro. But some see the Brexit vote as a wake up call that EU integration can and should be turned back. V4 governments seem to seek the least political interference from “Brussels” as possible. They stated that Britain’s vote to leave the EU signaled the need for reforms, and they pushed for measures that would grant national parliaments a larger say in EU decisions. “The European Commission doesn’t fully understand what happened in the British referendum,” Polish Prime Minister Beata Szydło told reporters after the meeting. After June’s EU summit, Hungary’s premier, Viktor Orbán, echoed those sentiments, saying that democratic legitimacy for the EU can only come from the member states: “We have to return to the notion that the basis of the EU is not its institutions, but its members. The democratic feature of the EU can only be reinforced through the member states, and the relationship between the institutions and member states must be improved,” he told reporters. “When Brussels accumulated more power, it didn’t work,” Orbán said after the summit. That V4 countries are now being taken more seriously than before, is partly due to their opposition to EU migration policies, an instance where common policies failed to deliver results. This was partly because member states were reluctant as they are mainly responsible implementation, and where strong member states’ old methods of pushing through policies created a backlash. There has been a realization in the corridors of the Berlaymont, the EU Commission’s headquarters, that V4 countries need to be listened to and should not be ignored. But sources warn, that at the top, EU Commission President Jean-Claude Juncker still surrounds himself with aides from a small circle, and is less open to Central Europe’s political sensitivities. “It is also linked to who Juncker is surrounded by, who he talks to and what messages he gets. As a president of this institution you have an obligation to surround yourself with people from different parts of the union, or you have to create an openness in the college so you can pick up vibes,” a senior EU official recently told a group of journalists, asking not to be named because they were unauthorized to speak on the matter. Highlighting that insensitivity, sources point to the EU Commission’s so-called posted workers proposal, which would basically require Eastern European companies to pay as much to their workers sent to western Europe, as their local, Western counterpart. In principle, the proposal makes sense in a single market, and some Western European states have long objected to Eastern Europeans undercutting local wages. Eleven member state parliaments have objected to the EU Commission’s proposal, the bulk of them from the east, but in July the EU Commission decided to move ahead with the proposal anyway. However, in Bratislava the 27 member states were to decide on the EU’s reorientation, and the Commission was just one of the participants. In fact, Brexit might give the V4 a chance to assert itself and its positions within the EU. That possibility is anchored by Slovakia, which now holds the EU’s rotating presidency, and therefore partly sets the agenda. The EU Council, which could emerge as a winner in the turf war between EU institutions, is also run by a Central European, former Polish PM Donald Tusk. He may be able to synthesize the different visions of the EU’s future. The key once again will be Germany, Europe’s reluctant leader. Chancellor Angela Merkel finds herself in a conundrum. She faces elections next year and needs to please her left-wing Social Democratic Party (SPD) coalition partners, who champion further integration. But she might be more sympathetic to the V4 position, because moving towards a more integrated Europe might increase German taxpayers’ economic liability for Italy’s ballooning debt and a struggling French economy. An EU official, who asked not to be named, said Schäuble was crossing a “red line,” saying his calls for less integration, were “dangerous” for European integration. 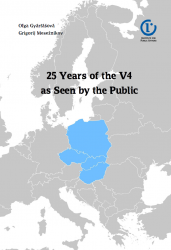 But the V4 is no monolithic bloc, either. Milan Nic, research director at the Bratislava-based GLOBSEC Policy Institute, warns that it is too early to say what the common position will be on the EU’s post-Brexit future. “Poland has ambition to put forward such a plan, and Hungary supports that, but the Czechs and the Slovaks are barely in the room,” he tells the V4Revue, reminding that the Slovaks, now at the helm of the rotating presidency, are now responsible for the EU’s common position. Nic also warns that anything put forward by the V4’s Polish presidency needs to be considered within the context of the current spat between Warsaw and the EU Commission. In July, the Commission adopted recommendations for Poland, directing the country to amend legislation that reinforced the rule of law, and urging the Polish government to stop dismantling the political checks and balance on the government’s power. Poland now has three months to act. “I would not say that the V4 countries are isolated in the EU, but they are now framed, and the Polish presidency is prolonging this framing,” Nic explains, then adds that the V4 needs to get out of the “ghetto”. “The Slovaks and Czechs are increasingly looking for their own path, but at the same time still preaching unity within the V4 context,” Nic says. EU diplomats detect those divisions within the V4 as well. There is a sense in Brussels institutions that a strengthened V4 could also mean more nationalism, populism and even xenophobia in Europe. The official however does argue that Central Europe needs to be taken more seriously by EU institutions and by Western member states than they were before, while also working more closely with Slovak Prime Minister Robert Fico and his Czech counterpart, PM Bohuslav Sobotka, who are the “more reasonable” within the V4. Read the original text in Visegrad Revue. This article has been automatically generated from the Visegrad Revue webzine, a project funded by the International Visegrad Fund. The opinions expressed in this article do not necessarily have to represent the official position of the donor, the Visegrad Group, or the publisher (Democracy in Central Europe).